November 7, 2019 The Arbor Loft Rochester, NY Join us at the Champion of the Year Gala, an event benefiting Best Buddies in New York. 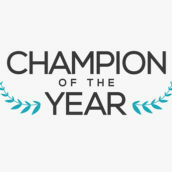 Along with food, drinks, silent auction, and live music, the evening will be filled friendship and celebration as we crown Rochester's Champion of the Year. 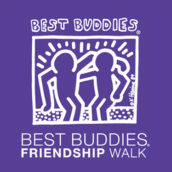 April 14, 2019 Highmark Stadium Pittsburgh, PA Join us at the Best Buddies Friendship Walk, the number one walk in the country raising awareness and funds to support individuals with intellectual and developmental disabilities (IDD). February 23, 2019 Best Buddies Rochester Office Rochester, NY Ambassadors training is a program that provides training for participants with and without intellectual and developmental disabilities (IDD) in areas of speech writing, public speaking, and self-advocacy. November 17, 2018 Best Buddies Rochester Office Rochester, NY Speech coaches from all over Western New York will be helping students both with and without intellectual and developmental disabilities write speeches on topics like themselves and the influence Best Buddies has had on them.